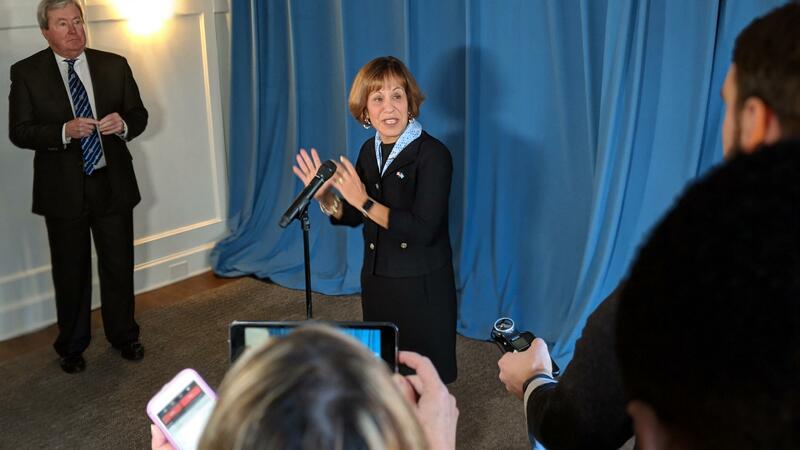 On her last day as chancellor of UNC-Chapel Hill, Carol Folt tells reporters she's not sure of what she will do next. A decision about her interim replacement is expected in the middle of next week. Folt told reporters this morning she doesn't yet know what she's going to do next. Folt resigned earlier this month just before ordering the removal of Silent Sam's base from campus. The UNC System’s Board of Governors, whose chair expressed frustration with Folt’s announcement, then pushed up her resignation date from May to January. Folt had been planning to stay in the chancellor position through spring commencement. Folt’s replacement has not yet been named. Interim UNC System President Bill Roper has been tasked with appointing an interim chancellor and told reporters on Thursday morning that he anticipated having a decision in the middle of next week. He said the university's provost would take on the chancellor's duties until then. In the meantime, Roper said he's been busy listening to and weighing suggestions from constituents. Folt told UNC trustees this morning she wasn't sure she would be back as a faculty member, but that she would always be a Tar Heel. Before becoming a university administrator, Folt researched metal toxicity and its effects on aquatic and human life.